Each year we offer our clientele at least one new unique and intriguing North American or International river exploratory. Limited to a select number of participants, the choice is typically an exotic river that is seldom - if ever - run; certainly not by open canoeists! 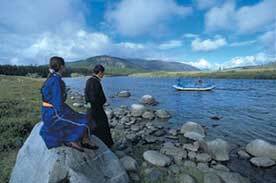 In Recent years we have focused on the unexplored rivers of ARCTIC CANADA and ICELAND. A vast, unspoiled nation with magnificent landscapes and pristine waters, Mongolia is a unique ancient culture in the heart of Central Asia. Bordered by Siberia in the north, and China in the south, it is characterized by snow-capped mountains, forested taiga, crystalline rivers, and the expansive Gobi Desert. Lightly populated, it’s a land that remains virtually unchanged. Descendants of it’s famous conquering horseman still roam the lush steppe, practicing their nomadic, pastoral lifestyles in one of the last surviving horse-based cultures. Cultural expression, fueled by a Buddhist renaissance, is manifested in a variety of mediums, from sculpture and painting to music, song, and dance. With nearly one-thirdof the country pledged as protected areas, Mongolia has the largest national park system in the world. Our itinerary features canoeing on the Egiin River (Class I-II); originating from crystal clear Lake Hovsgol - the famous “blue pearl” of Mongolia’s northernmost province. Fishing is possible for taimen; an extremely large member of the trout family. 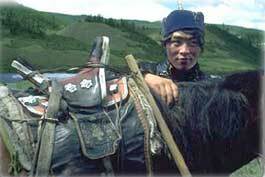 Accommodations include riverside tent and ger camping - often hosted by the local nomadic families. All meals are provided, offering an opportunity to sample Mongolian specialties, plus two night’s accommodation in the Bayangol Hotel, the capitals’ finest hotel. 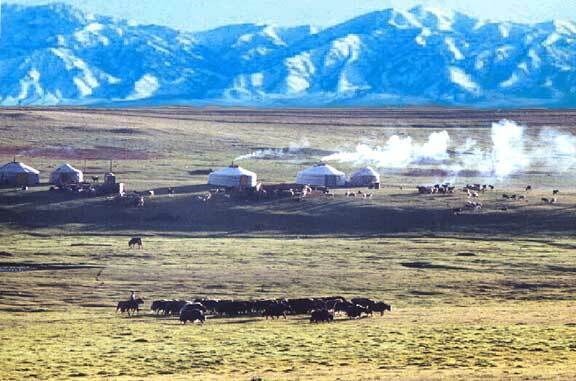 Optional add-ons (pre or post river trip) include horseback trekking, and excursions into the Gobi Desert.